Sailing the stylish seas means you’re in for a variety of activities both afloat and ashore. From sightseeing to sunning on the lido deck, the options are endless! An array of dress codes accompanies those fun plans, but never fear: we’re here to help you get packed up in style. Here are our top tips on what to wear on a cruise. Sunny skies in the forecast? 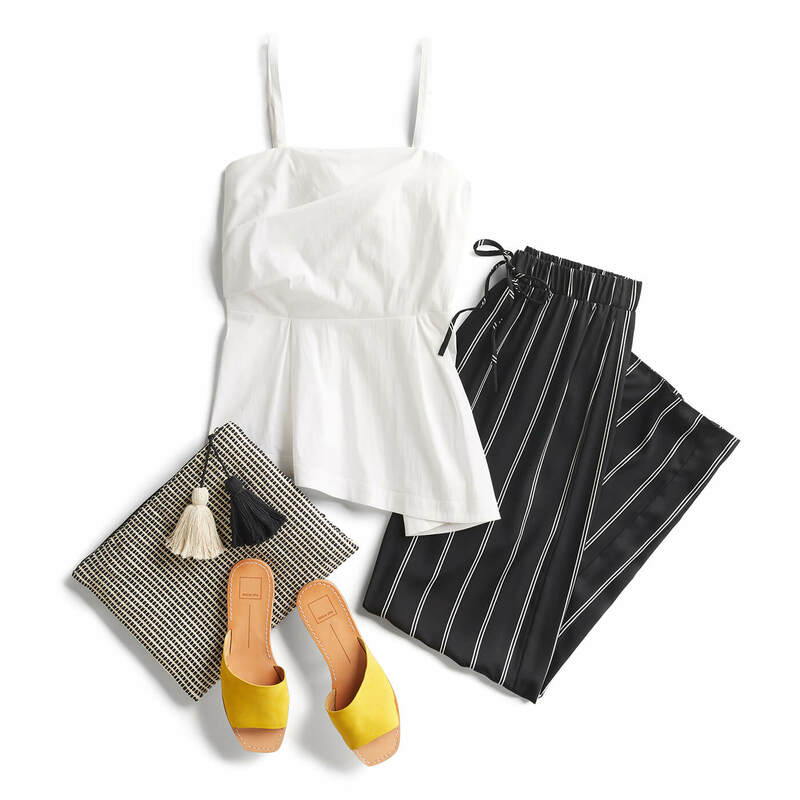 Beat the heat with breathable mix-and-match pieces, and prepare for steel drums and fruity cocktails! A versatile maxi dress should be at the top of your list; it’s easily dressed up or down for any occasion. Go for a tropical print to up your vacay vibes, and choose a jersey fabrication that won’t wrinkle in your suitcase. Stroll beachside with wedges and a wide-brimmed hat, and add a denim jacket for lunch al fresco. Heading to a dressy dinner? Instantly elevate your maxi with chandelier earrings and ballet flats. Stylist Tip: Slip your maxi over your swimsuit as a poolside cover-up! Sadly, there’s no filter to erase beads of sweat from your vacay selfies. Breathable fabrics, like linen, cotton or chambray, dry quickly to keep you breezy, even on a sweltering shore excursion. Opt for linen shorts or capris paired with a classic v-neck tee, and take along a crossbody bag to keep necessities close at hand. A chambray shirtdress is another must-have; wear it to a luau with strappy sandals and a festive lei. Shoes monopolize the most room in your luggage, so consolidate your footwear options. Sandals (and the requisite pedi) are a definite must-have, but if you’ll be on your feet exploring or hiking, bring comfortable sneakers, too. Metallic flats can dress up any outfit for sunset margaritas or a semi-formal dinner at sea. Gotta have heels? Choose one neutral pair to accent all your cocktail attire. Even the balmiest of days can give way to cool nights, especially when it gets windy at sea. Tuck a few neutral cardigans and a classic denim jacket into your luggage to ward off the chill. A pashmina saves the day (and packs compactly!) when the ship’s A/C gets overzealous on formal night. 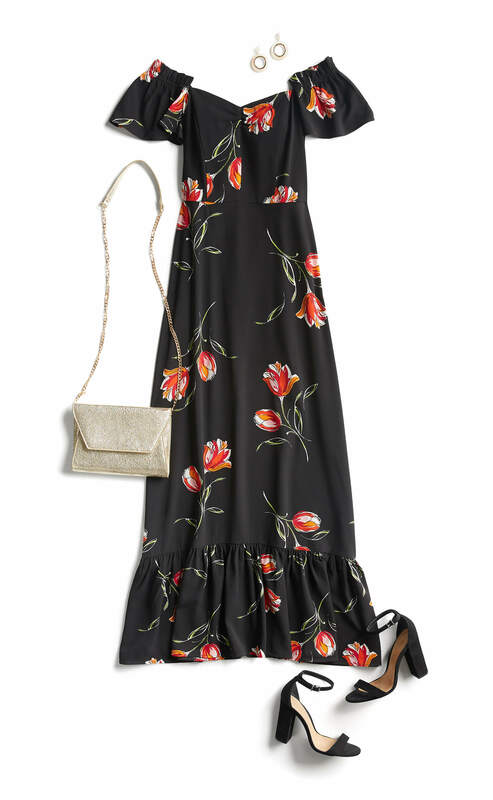 For a sunset karaoke sesh, pair a printed wrap dress with a cropped cardigan and ballet flats, and get ready to serenade your fellow passengers in style. Stylist Tip: Tie a gauzy scarf around the handle of your travel tote. It keeps you warm on the plane and can be worn as a sarong cover-up in a pinch! Exploring cooler locales during the fall or winter? 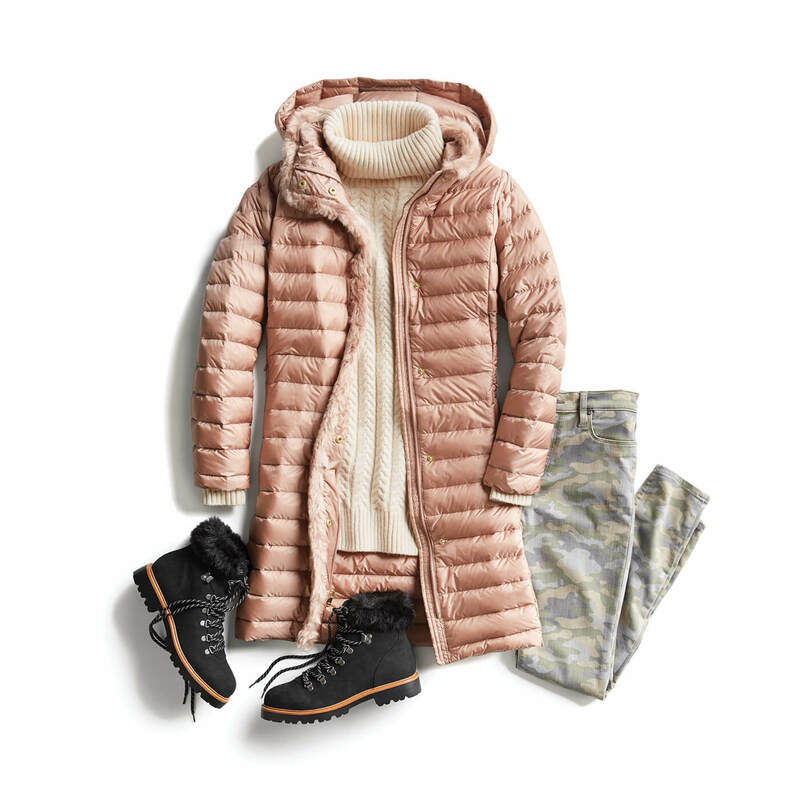 You’ll need to prepare for potentially frigid temps during your scenic vacay. A chunky, oversized sweater will keep you toasty as you gaze at glaciers or trek through winter wonderlands. Try one in a deep jewel tone with skinny jeans tucked into riding boots, and accessorize with a cozy infinity scarf in a contrasting hue. Layer a crewneck sweater over a collared button-down for bonus warmth and style. Choose one heavy coat to take you through your vacation. 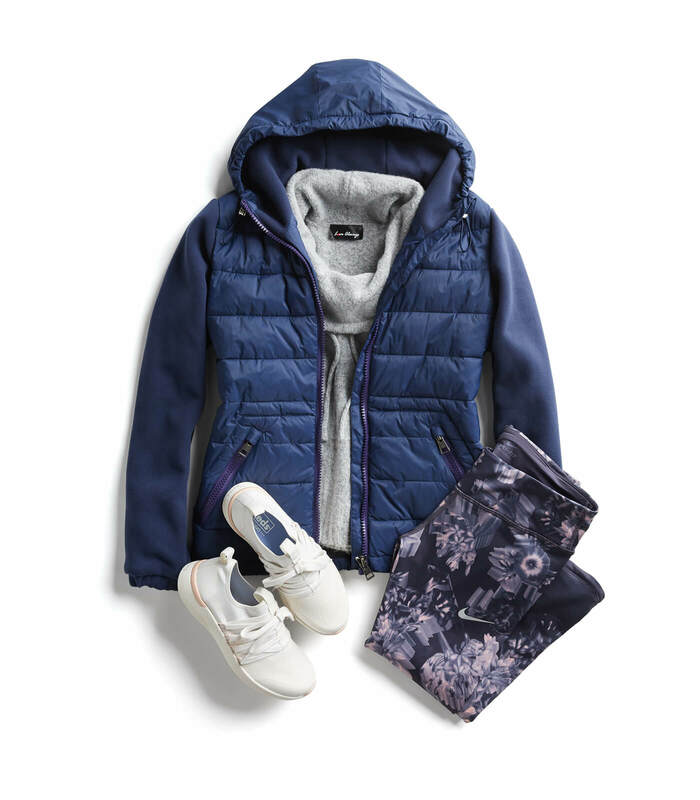 A puffer coat is a classic option that layers well over everything and insulates against icy air. If you need something dressier for your travels, opt for a long wool peacoat in a neutral hue instead. Stylist Tip: Wear your coat on the plane to save space in your luggage for souvenirs! Closed-toed shoes are a must-have for chilly weather. 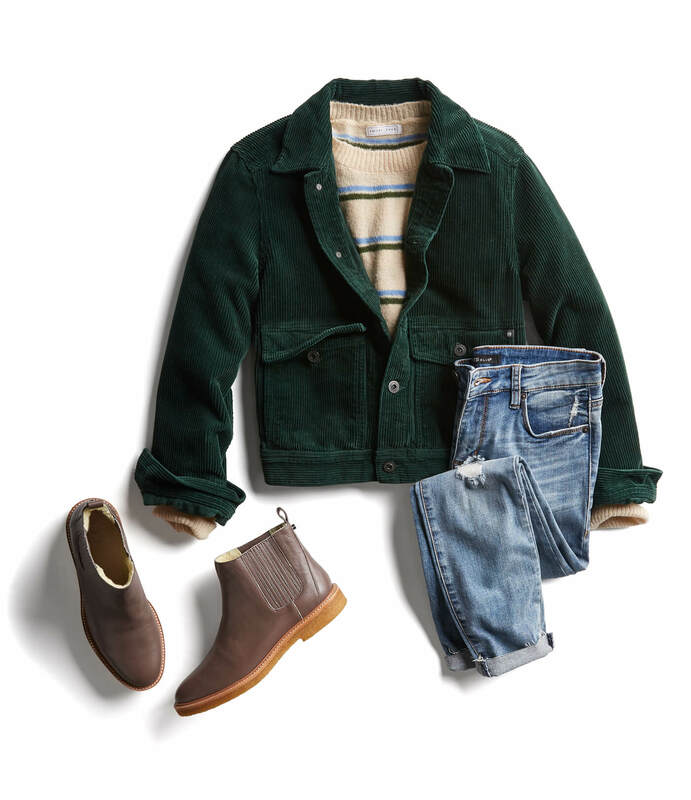 Tuck your favorite slim jeans into tall boots to keep your lower half covered, and be sure to invest in thick socks, too. A pair of ankle booties can be worn with cuffed jeans, or style them with a casual shift dress and tights for lunch ashore. If you’re heading out during the rainy or snowy season, look for weatherproof, lined boots to prevent soggy socks. Slip on a pair of block heels with your dressy attire; navigating flights of stairs on a rocky boat is hard enough without having to balance on stilettos! Just because you’re on a rugged adventure doesn’t mean you won’t dress up once in a while! Most cruises have at least two formal nights, so opt for a timeless cocktail dress or chic jumpsuit to take you from a three course meal to a musical theater spectacular on sea day. Pointed toe heels visually extend your legline, and a moto jacket adds a tinge of modern structure and edge. Stylist Tip: Stash statement jewelry, like a sparkly necklace or chandelier earrings, in a clutch when packing. Easy storage and accessories at the ready! Ready to set sail? Let your Stylist know where you’re heading, and we’ll help stock your luggage with the perfect pieces.